We did have this bottle on a Monday. But it’s Wine Wednesdays and the tradition continues. 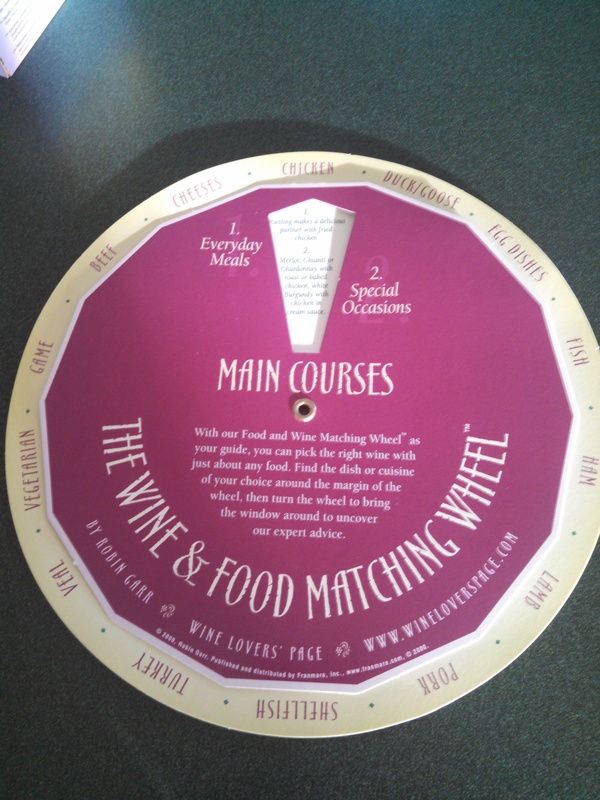 Today’s pick was based on the inspirational Wine & Food Matching Wheel. This will become a staple on this blog from time to time. A lovely grilled chicken plate was on tap for dinner, so I inquired as to where this exciting wheel had been. It’s so user friendly, and very helpful in looking for some cool pairings. 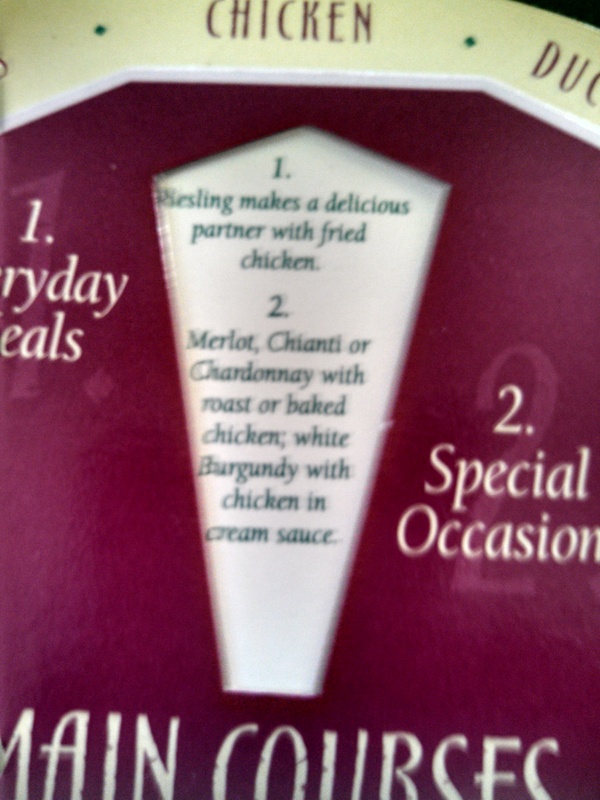 One of the suggestions was a Merlot. And voila! Unfortunately, the wine was not very good. I have grown to love Merlot in the past year or so. It was one of the few reds that I did not care for. But that has changed. My palate has expanded and I am much more open minded to trying just about anything. This will not deter me from that. 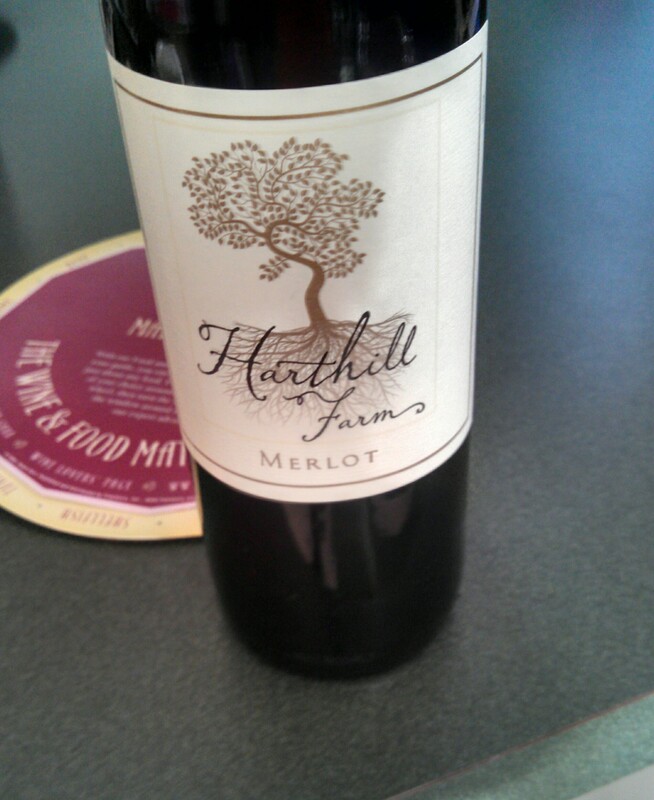 The bottle was the Harthill Farms Merlot, an exclusive from Whole Foods. In my visit to Northern Virginia, I always hope to find good wine deals in stores that can’t sell them in Maryland. One of my sentimental stores is their Tysons Corner location in Falls Church, VA. They have a vast selection, and more reviews will come. And one hopes it can only get better from here. This was a purchase for a mere $5.00, if I remember correctly. So it wasn’t a total loss. What immediately stands out is that there is no year or vintage to this wine. Maybe it was made two weeks ago? I’d like to know. In addition, there is little known via the grocers website about this farm. The reviews from various wine blogs are not positive, but I looked at them after I had my glass, which I could barely finish. Oh wait, I didn’t. It just didn’t taste like anything to me. It wasn’t a table wine you could have with pals or have a hearty meal, like the one pictured below. It also doesn’t look like how a good wine should. It seemed transparent and hollow. Honestly, it tasted like bad fruit juice at times. Luckily, the food was amazing. 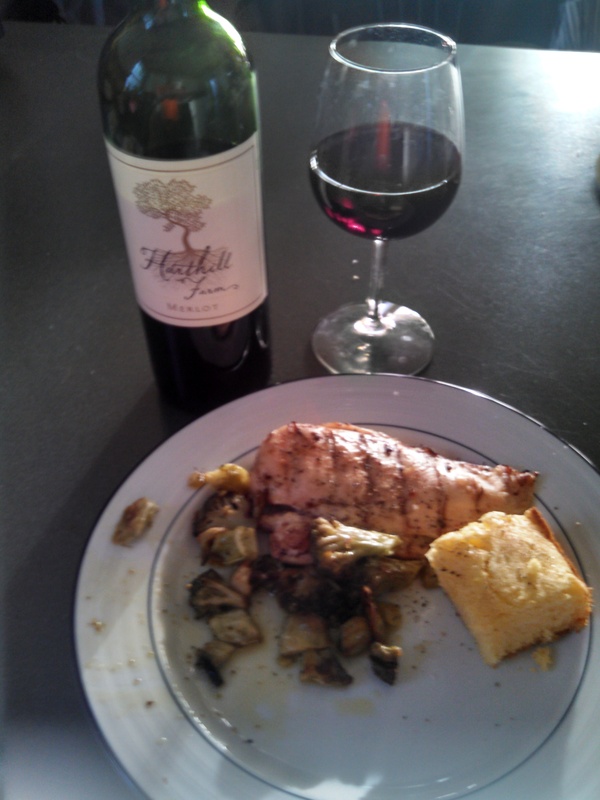 Thankfully my taste buds survived and I enjoyed a sauteed grilled chicken, with broccoli, and corn bread. Just because a wine is cheap doesn’t mean it’s bad. But the opposite can also be true. I’ve had many great wines for under $10. This wasn’t one of them. I am confident that many future reviews will suggest just that. Thanks for the follow today. I look forward to reading your blog too! The feeling is mutual Kristina!